Normally I post "Quick Shots," but today I'm posting a "Not-So-Quick Shot".....Actually, it's a Quick Shot in progress. 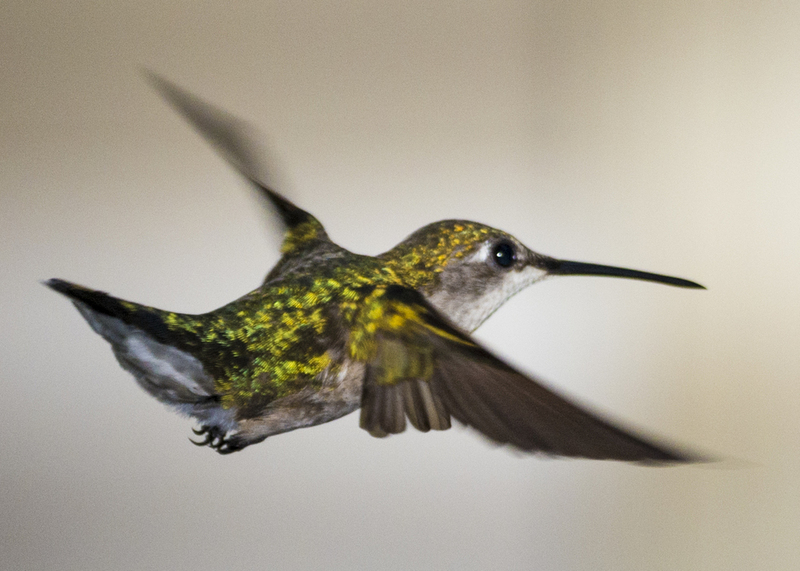 For the past 5 days, I've had a remote camera setup on my back deck to try and photograph a hummingbird in flight. And for the past 5 days, I've failed to get the shot that I'm looking for. That's not to say that I haven't had some success, but I'm looking for THAT photograph - the one that catches your attention and jumps out at you. Right now, I don't have it. Great photography requires patience. It might take the rest of the summer or it might take another two years, but I'll get that shot eventually with enough persistence and patience. How am I attempting this shot? Hummingbirds are shy, so I have to use a camera triggered via remote to have any chance to catch him. I've got my D800 pre-focused on a tripod pointing at an area next to the hummingbird feeder. The hope is that I'll fire off several shots of the bird in flight before he lands on the feeder. Getting the focus correct has been my biggest issue to date. I've managed to get several shots with great potential, but the focus has been off ever so barely. With enough patience, I'll get my photograph, but this is looking like it'll be more of a "Not-So-Quick" shot! The hummingbird in question is featured below.... although this shot isn't "bad," it's certainly not my final image!